A scientist is racing against time to find a cure for ALS as he battles the disease himself. Dr. Rahul Desikan leads a team of researchers looking into neurodegenerative diseases and is an assistant professor in residence in the Department of Radiology and Biomedical Imaging at the University of California, San Francisco. In 2017, he was diagnosed with one of the diseases he studies, amyotrophic lateral sclerosis, also known as ALS or Lou Gehrig's disease. The crippling motor disease affects the nerve cells that make it possible for us to breath, talk and move. Desikan said doctors gave him a year to live, news that shocked him as well as his wife, who is also a doctor. The couple has two young sons ages 2 and 4. Rahul Desikan is a scientist leading the research of ALS who is in a race against time. "It's baffling that he was studying it and he got it," his wife, Dr. Maya Vijayaraghavan, told "Good Morning America." "And that's just ironic." 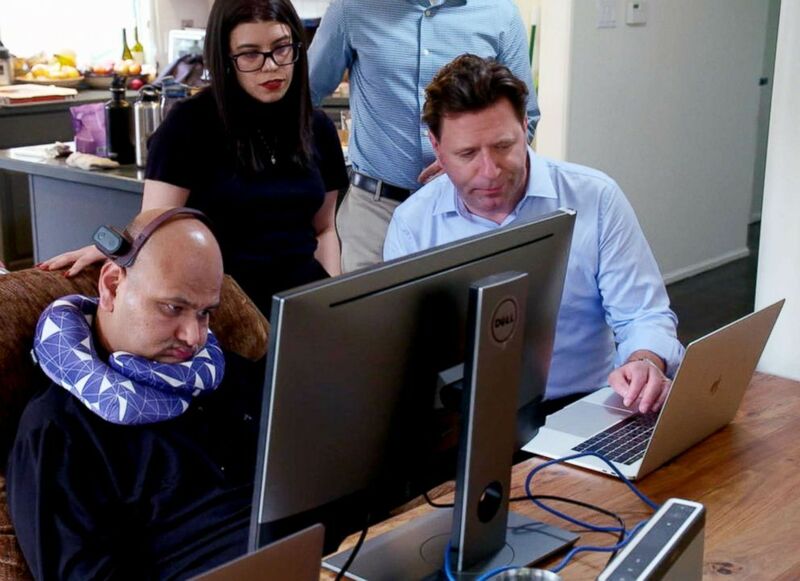 Desikan can no longer speak and communicates with the help of a computer. But despite his condition, he works countless hours trying to answer the biggest questions surrounding ALS. "It's the hardest thing to get out of bed every morning," Desikan told "GMA." "My wife and kids give me the courage to fight. I love my work because it makes me feel alive and it gives me purpose. I want to really, really, beat ALS and this keeps me going." 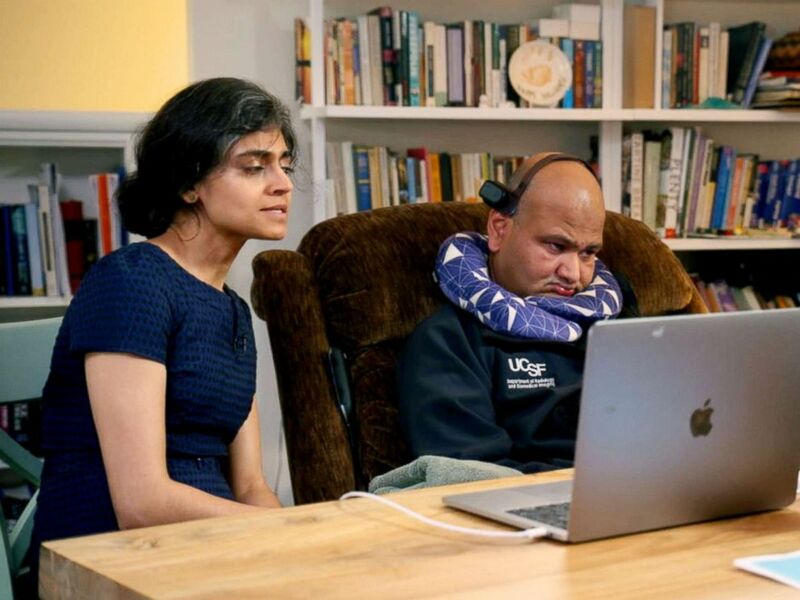 Rahul Desikan was diagnosed with ALS in 2017. Desikan said he wants the word to get out that ALS can happen to anyone. "We need to come together as a society and tackle ALS head on like we have done for heart disease and cancer," he said, adding that his fellow doctors need to rethink their strategy because people with ALS "suffer beyond belief." "I felt like I was being given a death sentence and there was nothing whatsoever anyone could do to stop this," Desikan noted. As he works to find a cure, scientists from Desikan's lab are also fighting the disease both with him and for him. The university has started a crowdfunding campaign to help finance Deskin’s ALS research. (Learn more here). Researcher Ryan Nillo said Desikan brings a special expertise to the work. "He combines his genetic studies with strong statistical methods and also imaging to achieve goals that other labs wouldn’t think of doing without Rahul [Desikan] at the helm," Nillo told "GMA." Although his work and family keep him going, the reality of his situation sometimes becomes unbearable, Desikan said. "The loss of the relationship with my sons is the hardest thing, hand down," he said. "I just want one hour." "It's the hardest thing to get out of bed every morning. My wife and kids give me the courage to fight," Desikan added. "I love my work because it makes me feel alive and gives me purpose. I want to really, really beat ALS and this keeps me going."